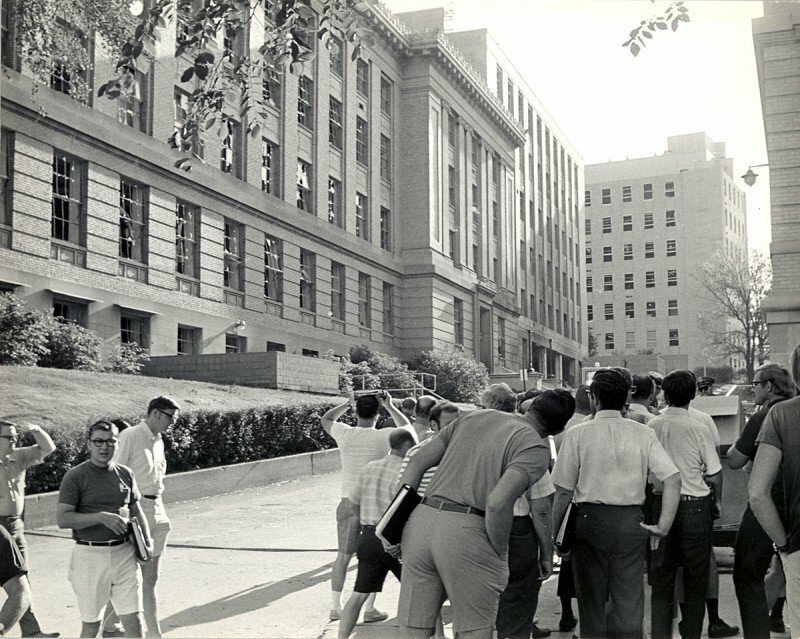 People peer to get a look at the damage to a building on campus after the bombing of Sterling Hall in 1970. From left to right: Convicted Sterling Hall bombers Dwight Armstrong, Karl Armstrong and David Fine. The explosion proved to be the worst act of domestic terrorism in the United States until the bombing of the Oklahoma City federal building in 1995. Here's a look at what has happened to others involved in that history-changing moment. "Think of someone coming out of Waupun (prison) for such a major crime and deciding to live right in the cauldron where his family is, and remaking his life in such an admirable way," said his friend, Phil Ball. Karl Armstrong was considered the leader of the New Year's Gang, a kid from Madison's East Side and the son of a machinist and bakery worker. He struggled in college and got pulled into the anti-war movement, eventually taking up with its most radical wing. Now stockier, with graying hair that has receded over the years, he no longer wishes to talk about Sterling Hall, friends say. He did not respond to requests for an interview from the State Journal. Ball said it's out of respect for Stephanie Fassnacht, the wife of killed researcher Robert, who has also lived in Madison for the last 40 years. Dwight Armstrong died of lung cancer at age 58 on June 20, nearly 40 years after he and three other young men bombed Sterling Hall. Armstrong was still a teenager when he got swept up in the anti-war movement by his older brother, Karleton. The two grew up on Madison's East Side, with Dwight the youngest of four. Though he dropped out of high school in 10th grade, he later got his high school equivalency degree and took some courses at UW-Madison. After the bombing, Dwight went on the run for nearly seven years, eventually getting caught in Toronto in 1977. After serving three years in prison, he was paroled, but then arrested again for his involvement in a drug operation. He spent his later life in Madison driving a cab and caring for family. Much of his life was also spent "consumed by the emotional impact of what they had done," said Ball. On Aug. 24, some of Armstrong's friends and family plan to drop his ashes from the cliffs of Devil's Lake State Park, one of his favorite spots and the place where the New Year's Gang fled after the bombing. David Fine's life has traced a tumultuous arc, from his participation in the 1970 bombing to his six years as a fugitive to his stint in federal prison. Today, Fine is married and works as a paralegal in Portland, Ore. The youngest of the four bombers, Fine was 18 years old then and is now 58. At the time of the bombing, he was a writer for The Daily Cardinal and a friend of Leo Burt, who also wrote for the paper. Burt introduced Fine to Karl Armstrong. Fine is notorious especially as the one who called the Police Department to warn of the bomb. His life on the run ended on Jan. 7, 1976 when he was captured in San Rafael, Calif. He was sentenced to seven years in prison but served three. Fine did not respond to an interview request. Even years later, the bombing haunted Fine. In 1987, having earned his law degree from the University of Oregon, Fine applied for admission to the Oregon Bar. His request went all the way to the Oregon State Supreme Court, which denied him admission on the basis of the bombing and Fine's lack of remorse, both for the bombing and for the death of Robert Fassnacht. The question has become a cliche in Madison. Burt, the only one of the four Sterling Hall bombers who never surfaced and is still being sought by the FBI, continues after 40 years to provide fodder for wild rumor and speculation. The last known contact Burt had with anyone was two weeks after the bombing when he called an old high school friend from a boarding house in Peterborough, Canada, 60 miles north of Toronto. Since escaping that boarding house, with police knocking on the front door, Burt has been a ghost. Unconfirmed reports of Burt have come in over the years — from an anti-war rally in Norman, Okla., a homeless shelter in Denver, and from distant locations such as Costa Rica and Algiers. Allan Thompson, a retired FBI agent who worked the case much of his career, believes Burt is dead, possibly by suicide. Over the years, after many interviews with Burt's family members and friends, Thompson came to believe that Burt, a former altar boy and a dropout from marine officer training, could not live with having killed someone. After the bombing, Norbert Sutter, the 57-year-old security guard on duty that night, quickly disappeared from the news. He preferred during the rest of his life to simply not talk about what happened to him. 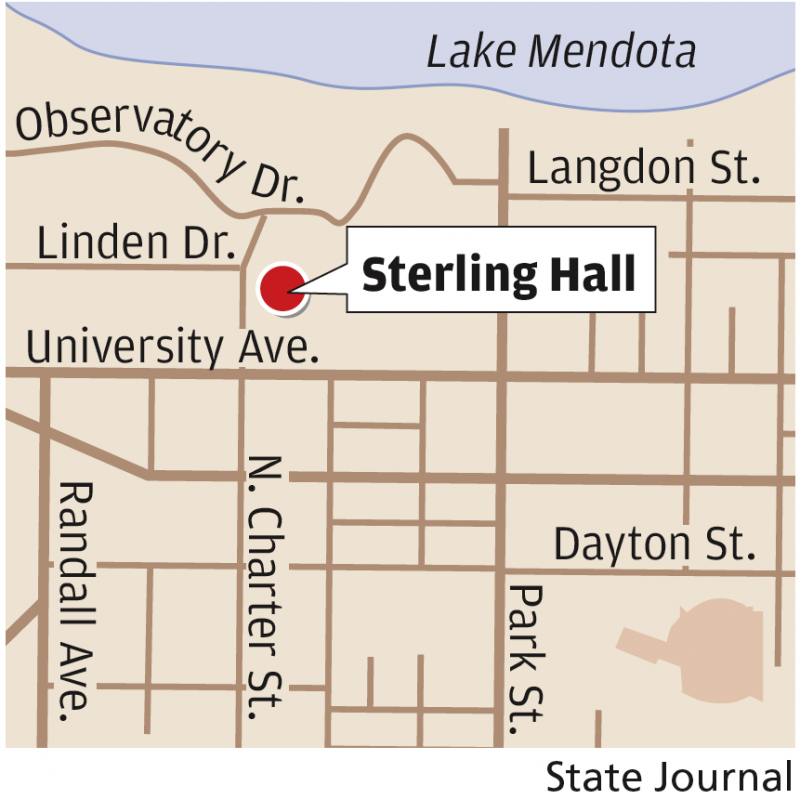 Sutter was making the rounds of several buildings, including Sterling Hall. Around 3:30 a.m. he stopped by Fassnacht's lab where the young researcher was at his desk writing in his lab notebook. Sutter chatted briefly with him and reminded him to turn off lights and equipment when he left. Moments later, as Sutter was walking to the elevator to return to the main floor, Fassnacht walked into the hallway to say something. That's the last thing Sutter remembered before the explosion. During an October 1970 interview, Sutter's left eye remained blackened and he showed the reporter the unhealed scar on his calf from a burn. His wife displayed his uniform, the pants charred and ripped and his bloody shirt sliced up the back by doctors. "You can't imagine it," Sutter said of the explosion. Sutter never returned to the university. He spent many years as the caretaker for Goodland Park on Lake Waubesa, not far from his home. He died Jan. 4, 1994 at age 80. David Schuster and Paul Quin were young physics researchers who were working deep in the recesses of Sterling Hall the night of the bombing. Both were injured, but both recovered and went on to enjoy stellar careers in physics, Schuster at other universities and Quin at UW-Madison. Indicative of the deep and often still raw emotions of those who were affected by the bombing was a terse e-mail response from Quin to a request for an interview. "I do not discuss this event," Quin wrote. Schuster recalled the bombing from Kalamazoo, Mich., where he is an associate professor at Western Michigan University. That night, Schuster was conducting an experiment on the particle accelerator in the Sterling Hall basement. Around 3:30 a.m. he walked to his office to fetch a book to read. The explosion knocked him unconscious in his office. As a result of the blast, he is deaf in one ear and has only partial hearing in the other. Schuster marvels at his survival, just as he is saddened and haunted by his last glimpse of Fassnacht, standing in the hallway that night as Schuster walked to his office. "I think about Robert," Schuster said. "And about the chance nature of events and of life." He was in the wrong place at the wrong time. Not a soldier or a radical, Robert Fassnacht happened to be working late the night four men bombed UW-Madison's Sterling Hall in protest of the Vietnam War. Offering insight into the FBI’s response after the Sterling Hall bombing, the agency released more than 600 pages of documents from Dwight Armstrong’s FBI file in response to records requests from the State Journal and other news organizations.